A high court in Israel has given the IDF 60 days to rethink their position on soldiers’ wages, saying those are not “pocket money,” but must cover living necessities, local media report. A petition complains that parents have to cover conscripts’ needs. The Supreme Court in Jerusalem was discussing a petition filed by lawyer Amnon Lorch in 2012 on behalf of his three children who served in the army. It included a demand to increase soldiers’ wages by 23 percent to meet the rising cost of living. The petition said the wage is intended "to meet the basic needs of conscripts", as the IDF themselves define it, but in reality this does not happen. It claimed that salaries of the standing army and chief of staff increased by 20 percent since 2002, while the earnings of conscripts remain the same - and are derived from a subsistence cost set in 1986, according to Ynet. The people who have to pay for the gap are soldiers’ parents, according to the petition. Attorney for the state, Dana Briskman, told the court the payments are actually meant to be "a sort of pocket money" paid to soldiers, Haaretz reported Saturday. The judge criticized this description, saying that is wasn't pocket money but "an amount the soldier needs for his daily survival." Attorney for the state was asked whether, according to the army, it fully provides all the soldiers' requirements, even when they are not on base. Briskman said that "in general the army provides the necessities" and that soldiers doing their compulsory service are not entitled to wages. The judge then inquired whether the army provided such basic necessities as shaving equipment and boot polish to soldiers. When the attorney replied that it didn't, the judge wondered: "How is the soldier meant to subsidize these basic necessities? If he is unshaven at roll call, he'll be punished. You're saying that you don't need to supply and the parents need to cover the cost." The court gave the Defense Ministry and the Israel Defense Forces two months to submit a revised position, adding that "to the extent that the response does not satisfy us, the verdict will be given without additional discussion." Defense Minister Moshe Ya'alon stated in November that the wages of conscripts would grow by 20 percent starting from January in what appears to be the first pay increase in 10 years. The increases depend on whether the soldier is a combatant, in a rear echelon or in a combat support position. Combat soldiers who had previously received $225 a month now earn $282, while soldiers serving in non-combat roles now take home $141 a month instead of $113. The small pay increase appears to have been prompted by reports in the Israeli media of soldiers facing financial troubles. 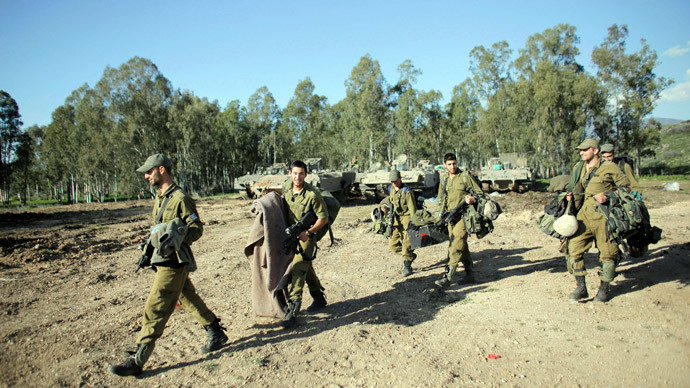 Many, particularly those in combat units, also pay out of pocket to cover the costs of gear and updated equipment, The Times of Israel reported. “It is as if someone in the army is living in another world, in eastern Europe," Ilanit, a mother of a combat soldier, said in an interview with Channel 2. “Perhaps there it is possible to survive on $282." She said the situation is absurd to the point where she is “funding the army twice" – paying her taxes and giving her son money to buy army equipment. A former brigadier general in the IDF also said that soldiers continued to be paid too little to make ends meet. “A pay raise… of 100 NIS ($26) is ridiculous. Defense Minister and [IDF] Chief of Staff are disconnected from soldiers and their families,” Miri Regev stated in November.